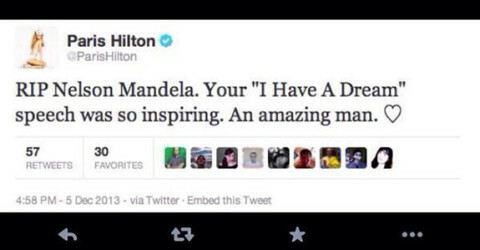 Paris Hilton didn’t confuse Nelson Mandela with MLK Jr.
Oh No: Sam Lufti is back and talking Britney Spears! Kelly Clarkson is pregnant! Yay! Remember when LeAnn Rimes helped wreck a family?